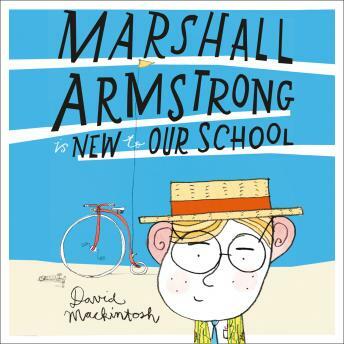 Quirky, witty and brilliant, Marshall Armstrong is new to school and he definitely stands out from the crowd; but will he find it easy to make friends? A highly original take on a perennially popular theme, performed by Stephen Mangan. Marshall Armstrong doesn't fit into our school. ...but it doesn't take long for Marshall to prove that you don't have to follow the crowd to be the most popular kid in the playground. A quirky and witty 'first day at school' story from a brilliant new talent, perfect for all boys and girls starting at school and meeting new friends.